Your vehicle’s braking system plays a very important role in keeping you safe. And because of this, it’s especially important to maintain your braking system properly to keep it working in order. This system employs a number of components and one of the most important of these components are the brake pads. Brake pads sit inside your brake calipers and clamp down onto the rotors, acting as a source of friction and providing you with stopping power. Brake pads fall under the consumable category when it comes to car parts. They wear down over time and eventually need replacing. 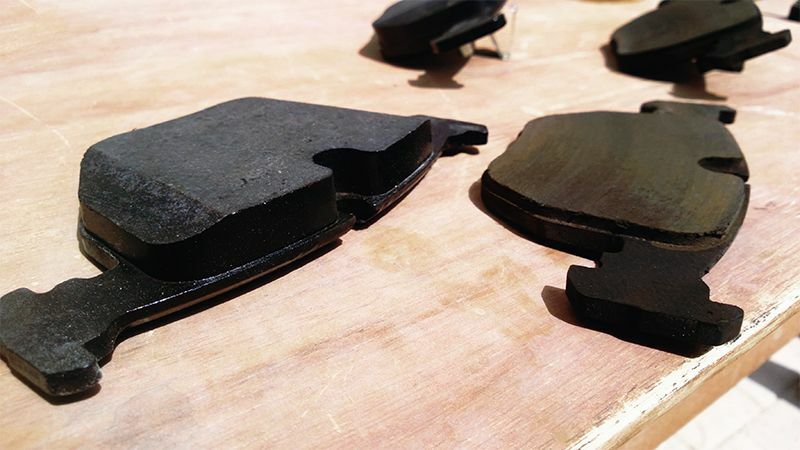 Because of this, it’s important to keep an eye on the amount of brake pad material that remains on your brake pads, keeping both yourself and your family safe on the roads. The rate of wear depends on a wide range of variables. Everything from choice of brake pad, driving style, to the condition of your brake rotors or if your brake calipers are working as they’re supposed to. There are a few signs to look out for that indicate that your brake pads are reaching the end of their service life or wearing unevenly. If your brake pads are on their way out, chances are you’ll start to feel them not working as well as they used to. Another obvious indication you might come across is a squealing sound when you hit the brakes. This is usually a tell-tale sign that your brake pads are nearing the end with that squealing being the wear sensors coming in contact with the rotors. 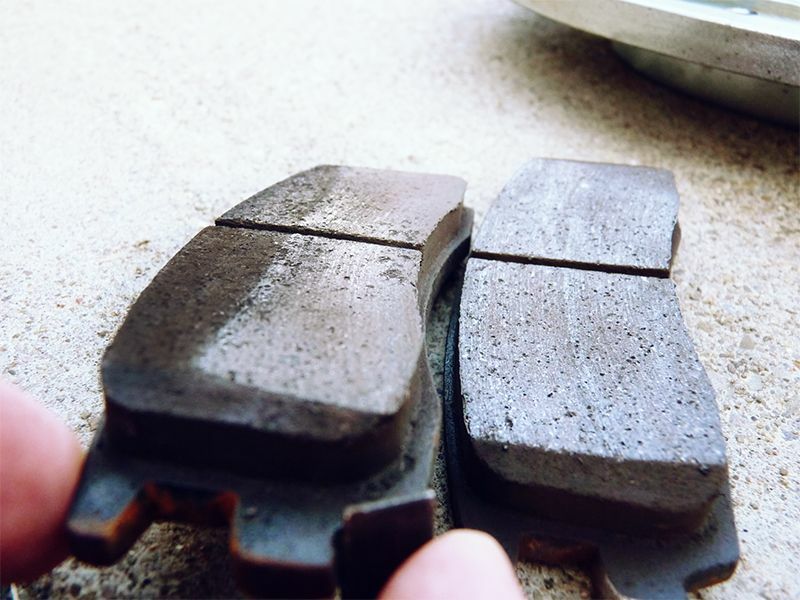 On the more extreme side of things, more of a metallic scraping noise might arise if your brake pads are worn to the point where the metal backing plate is coming in contact with the rotor. Another symptom you might experience is vibration under braking. If you’re experiencing any of these symptoms, it pays to have a look at the condition of your brake pad. In most cases you should be able to get a good enough look without even having to take off the wheel. Simply have a look inside of your brake calipers and try to gauge the level that your brake pads are sitting at. With Bendix’s new Brake Wear Indicator, this is as simple as checking the imprint on the edge of the pad marked ‘REPLACE’. This will give you a clear indication on how much life your brake pads have left. If you notice that one pad has worn down a considerable amount more than another pad, then you have uneven brake pad wear. What are causes uneven brake pad wear, exactly? A common root of the problem is DTV (Disc Thickness Variation). Variation in the thickness of your rotors chew away at the brake pad as they come in contact with flat spots in the disc, causing the pad to wear unevenly. Depending on the extent of the impact of DTV on your rotors, they can be machined to iron out any flat spots. Rotors can only be machined so many times though so be mindful of that. It’s also important to hit your newly-machined rotors with Bendix Brake/ Parts Cleaner & Degreaser to get rid of any machine dust. The key to avoiding the effects of DTV is taking measures to prevent it in the first place. If you’re installing a new set of rotors, preparing them properly beforehand is an important step to take. 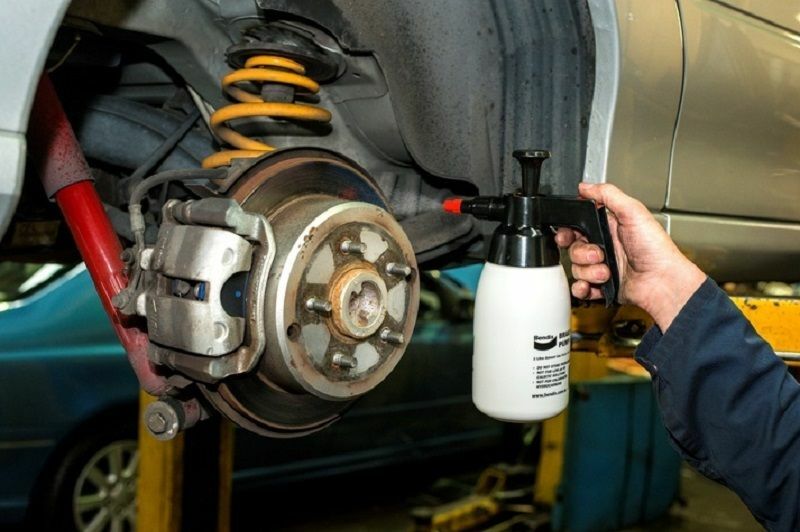 Make sure to give them a hit of brake cleaner before installing them to clear any dirt and anti-rust coating. Issues with the operation of the brake calipers are also major contributors to uneven brake pad wear. Often, components within the caliper, such as the guide pins, can seize and cause the brake pad to drag along the rotor whilst the brakes aren’t applied which in turn leads to uneven brake pad wear. If it’s come time to replace your brake pads and you’ve found there to be some uneven wear, check the caliper guide pins. If one or both of the guide pins are seized, it’s time to pull them out and regrease them with Bendix Ceramic High Performance Synthetic Lubricant. If they’re a bit worse for wear, it’d be a good idea to replace them. If this doesn’t rectify the problem, the issue might require a caliper rebuild or replacement. 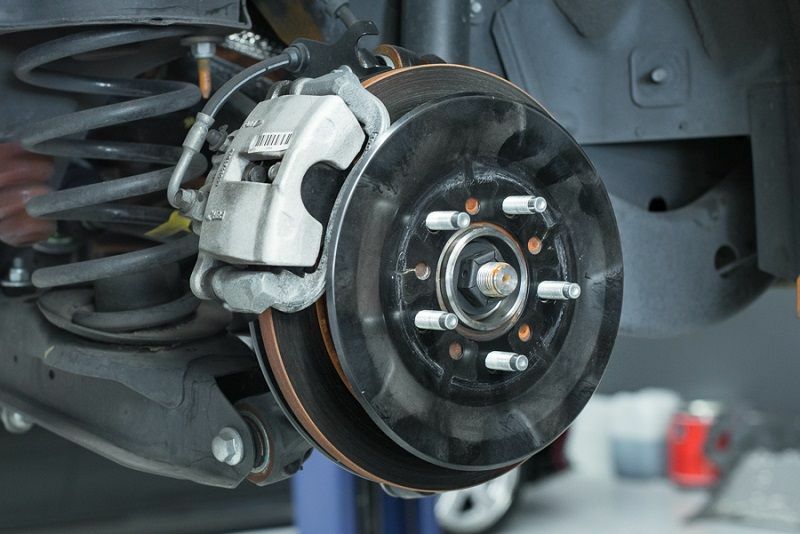 Your brake pads are one of the most important components of your vehicle’s entire braking system. Being a wear item, it’s important to make sure they’re in good condition and replaced when need be. 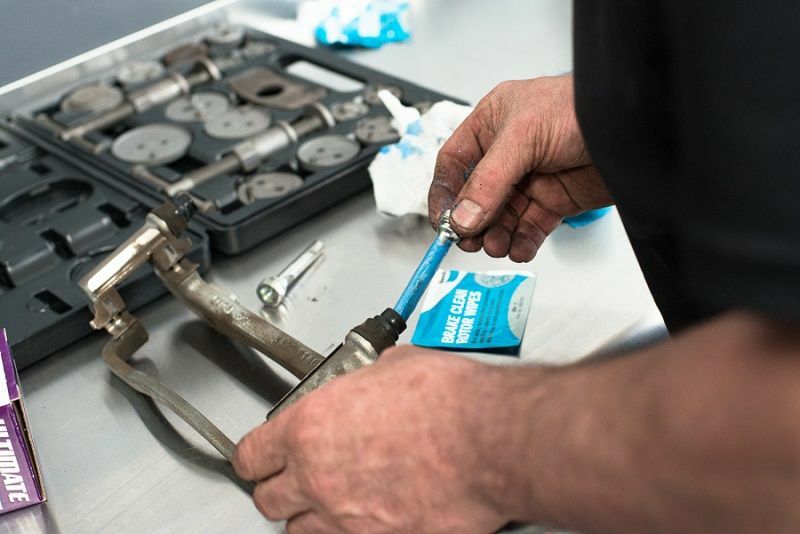 Performing regular maintenance on your braking system will help ensure you get the most out of your brake pads so that you can put your foot down with confidence.